Now here is the game changer that is revolutionizing how we apply these devices to conquer pain. Called the DENAS Vertebra v2, a super advanced and powerful microcurrent biofeedback device with 48 electrodes and quick easy learning curve to do the impossible with your handheld. Harmless gentle sequences of specific microcurrent frequencies, that for decades have delivered people like you with proven results, tingles your back from the strategically placed 48 electrodes. 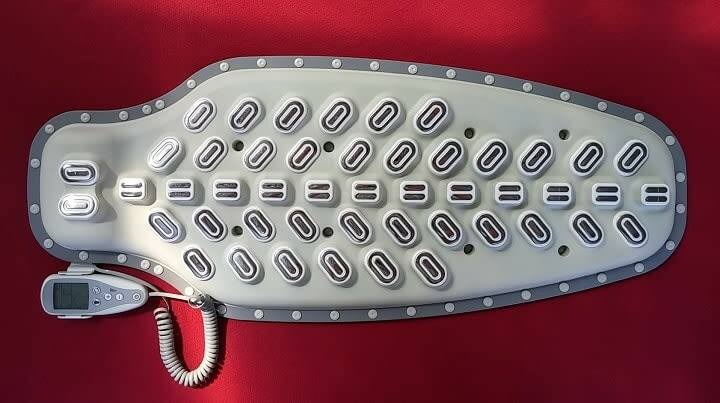 The 48 electrodes effortlessly deliver microcurrent therapy (MCT) to quickly stimulates your back so that you feel less pain, more energized and empowered, all you do it lie down and relax - effortlessly! Ideal for people with back pain, neck pain, shoulder pain, hip pain and degenerated tissues, inflammatory issues, low energy and sleep problems, and even the very wide range of dystonia symptons. 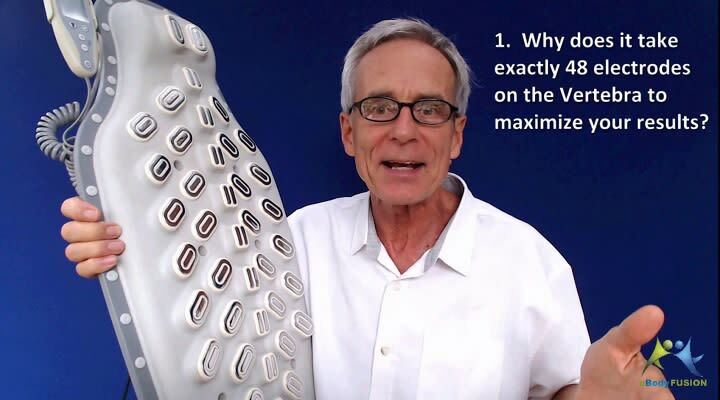 Sign up to find out more, and I'll inspire you with what I consider to be the "5 Reasons Why The DENAS Vertebra is THE Coolest Microcurrent Device". PS When you sign up I will send you the 5 Reasons video and send you my Vertebra email series and offers. Disclaimer: not for the medical "advice" or "treatment" of any medical condition. The success stories on this site illustrate what others have obtained with the eBodyFUSION Vertebra Study Group systematized training. Your success will depend on regular application and naturally results will vary from person to person each with unique application strategies.